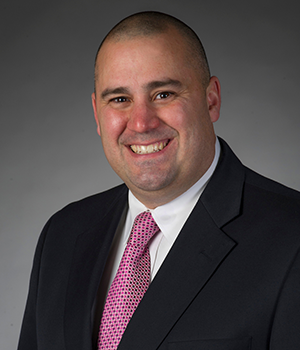 Ryan Willerton, most recently the director of the Office of Community Standards at the University of Notre Dame, has been appointed associate vice president for career and professional development in the Division of Student Affairs, effective Aug. 22. Willerton earned his master’s degree in educational psychology and guidance from Eastern Illinois University and his bachelor’s degree in Spanish/secondary education from Bradley University. He began his career at Notre Dame in 1998 as a student development coordinator in the Student Activities Office, and went on to serve as the assistant director of residence life and housing from 2001 to 2003. From 2003 to 2012, Willerton was the director of Student Activities Facilities where he led a department that managed the LaFortune Student Center, Washington Hall and Stepan Center. He also trained and developed hundreds of student managers and employees, facilitated thousands of student meetings and events and welcomed more than 2 million guests to the student center annually. Since 2012, Willerton has overseen the University’s conduct process, reshaping the Office of Community Standards through careful study and engagement of students to ensure University policies and processes support student growth from their choices. Under Willerton’s direction, career services at Notre Dame will continue to allow students to reflect on their talents and values to seek impact in their careers while leveraging a robust network of alumni, benefactors and employers. In his new role, Willerton will work collaboratively with undergraduate and graduate career services coaching and counseling teams and an employer relations team to create strategies for career discernment and development of Notre Dame students. He will also take an active role in outreach to existing and potential employers, recruiters and organizations to cultivate new relationships and expand career opportunities. In addition, Willerton will oversee the operation of a world-class Career Center within the Duncan Student Center that will allow Notre Dame to reimagine the ways in which career services and resources are delivered not only to students, but to employer partners and alumni. Willerton lives in South Bend with his wife, Mattie, and their two sons, Jack and Quinn. Mattie, a graduate of Notre Dame’s Remick Leadership Program, is entering her fifth year as principal of St. John the Evangelist Catholic School in Goshen. Originally published by Kate Morgan at news.nd.edu on August 16, 2017.